Optimum bearing selection can extend bearing life and improve compressor performance. Screw compressorusage in natural gas applications has risen steadily over the past decade and continues to grow. This is chiefly due to lower gas pressures in many older natural-gas fields, which make reciprocating compressors uneconomical to install and operate. Today screw compressors are found in both sweet-gas (not containing H2S) and sour-gas (containing H2S) applications. They are employed at the wellhead to draw natural gas from the ground and boost the pressure to feed gas into pipelines. As the usageof screw compressors increases, so does the focus on a major screw compressor component – rolling bearings. 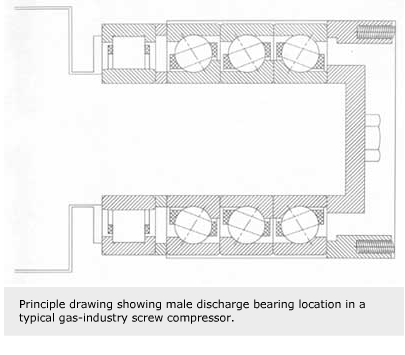 Bearings play a critical role in screw compressor performance. Bearing-related problems, however, can impair compressor reliability. In the worst case, they can lead to catastrophic failure, interrupting gas production. Wells and scrubbing stations are often located in remote, hard-to-reach areas, making repairs difficult and expensive. 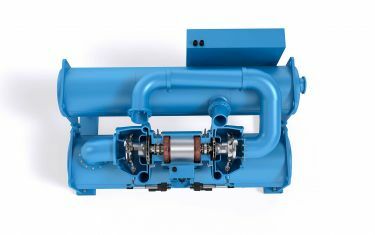 Although standby compressors are sometimes available, they must be maintained to avoid potential problems at start-up. Accordingly, reliability-conscious gas-industry professionals and well operators seek to avert bearing-related problems before they occur. A big first step is becoming familiar with the basics of bearing operation in screw compressors and learning how to specify the correct bearing arrangement, bearing types and materials for compressor applications. 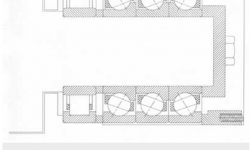 In twin screw compressorstwo meshing rotors turn in opposite directions inside the compressor housing. On the suction side, gas is drawn into a cavity produced between the housing wall and the two rotors. As the rotors turn, the cavity decreases in size, compressing the gas and then discharging it. Gas field compressors are usually driven by a gas-fuelled engine, either directly or though a gearbox. The function of rolling bearings in screw compressors is to provide accurate radial and axial positioning of the compressor rotors and to properly support rotor loads. 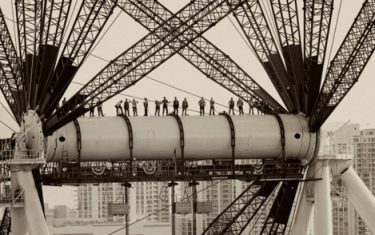 Bearings are employed at the suction and discharge ends; their number and configuration vary depending on load and application requirements. Typically, there are two cylindrical roller bearings at the suction end, one supporting each compressor rotor. A second pair of cylindrical roller bearings is used at the discharge end. Some compressors use journal bearings for radial support. The discharge end is equipped with two or more thrust bearings, which are usually single-row angular contact ball bearings or four-point contact ball bearings (QJ bearings). These bearings support pure axial loads. As the gasundergoes compression, the temperature increases. Oil injected into the compression cavity lubricates the screws, seals leakage paths and cools the gas. After being discharged with the compressed gas and separated out, the same oil lubricates and removes heat from the bearings. Operators should recognize the risks of injecting too much oil into screw compressors. This as natural gas contains a mix of gases and is usually saturated with water vapour and sometimes acids and hydrogen sulphide are present. Injecting too much oil can lead to excessive cooling, causing condensation of water and acids. The condensates will mix with the oil and impair bearing lubrication, cause corrosion, and can lead to bearing failure. The oil used should have the proper viscosity and should not contain additives that cause water emulsification. Engine crankcase oils are typically not suitable as compressor oils. Oil samples should be taken periodically and analyzed for degradation, viscosity and water content. Natural gas also contains solid particles that can damage bearings and other components. To prevent damage, compressors should have effective oil filters. Sour natural gas,which contains hydrogen sulphide (H2S), poses a particularly difficult challenge. Hardened steel and materials containing residual stresses are susceptible to sulphide stress cracking. This is a brittle crack phenomenon that occurs at low stress levels. In addition, hydrogen sulphide can mix with water and form sulphuric acid (H2SO4) leading to corrosion. Bearing cages should be made of stress-free materials to avoid damage from sulphide stress cracking. Well operators should carefully consider cage materials when specifying compressor bearings. Polyamide cages,which are made of an injection-moulded glass-fibre reinforced polymer, also offer a possible solution. These cages have proven successful in sour-gas applications with operating temperatures up to 70°C (158°F). Higher temperatures, however, can cause polyamide to age prematurely when exposed to aggressive gases and acids. A new solution is now available with cages made of PEEK, a polymeric material with superior chemical, temperature and ageing resistance. PEEK also has superior properties as a bearing material with low friction and wear rate, making it suitable as a cage material in bearing applications with marginal lubrication. Traditionally, the natural-gas industry has refrained from using brass and other “yellow” metals in compressor and pipeline applications because of potential sulphide stress cracking. 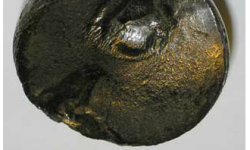 Residual-stress-free brass, however, is not subject to stress cracking. Machined brass cages made from centrifugally cast tubing are free from residual stresses. A large number of single row angular contact ball bearings, four-point contact ball bearings and cylindrical roller bearings are available with this type of cage. Although somewhat contradictory to industry practice, several screw compressor manufacturers have successfully employed such brass cages in sour natural gas compressor bearings since the mid-l980s. Pressed brass cages, made from brass sheet, are not suitable in sour-gas compressors, since the pressing operation leaves residual stresses in the material. Machined steel cages are commonly asked for by compressor users. Although there is no stress cracking with machined steel, there is a greater risk of metal smearing between the cage pockets and the rolling elements, especially in marginal lubrication. With the availability of PEEK and stress-free machined brass cage materials, there is no longer any reason to use machined steel cages. 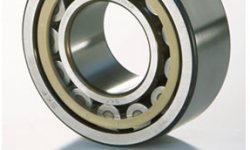 Rolling elementbearings must be made of hardened steel to function reliably. 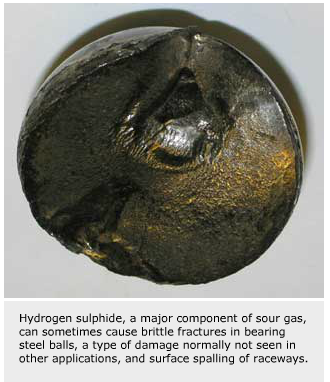 Hardened steel components, however, can suffer hydrogen sulphide damage. SKF has investigated the use of special coatings to protect bearing steel in sour-gas applications. At the SKF Engineering and Research Centre in The Netherlands, SKF scientists have identified critical properties for coating materials. The coating hardness must bond securely to the bearing steel and resist flaking under load. It must also also be non-porous so there is no diffusion of hydrogen sulphide through the coating. Another even more promising solution is to use a new grade of a super tough stainless bearing grade steel that is resistant to sulphide stress cracking. SKF is developing and testing such steels with very promising field test results in sour gas screw compressor applications. In these new bearings the balls or rollers are made of ceramic materials. 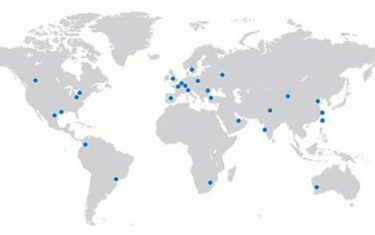 Alternative solutions include SKF NoWear coated balls and rollers made of high nitrogen stainless steel. The SKF NoWearcoating provides very low friction, protection against smearing and reduced wear, but NoWear is not dense enough to prevent diffusion of hydrogen sulphide. 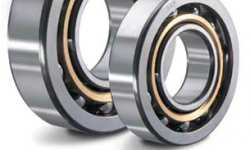 NoWear coated bearings provide a solution in difficult applications working under poor lubrication or low loads. 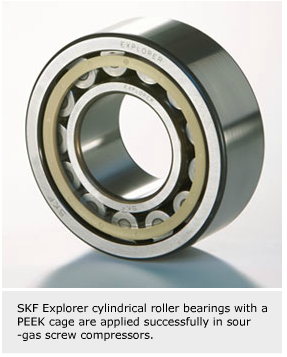 SKF Explorer performance class bearings feature improved steel quality and heat treatment. 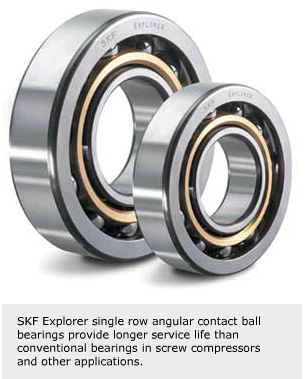 SKF Explorer single row angular contact ball bearings, as standard manufactured for universal matching, four point-contact ball bearings and cylindrical roller bearings yield longer service life than conventional bearings in demanding screw compressor applications. Once compressor bearings have been selected and installed, they should be monitored. Hand-held monitoring devices for periodically monitoring or permanently installed monitoring devices for online surveillance can provide trending data and detect eventual bearing damage in the early stages and enable well operators to schedule maintenance and repairs for periods of planned shutdown.